Pretty proud of my club today. 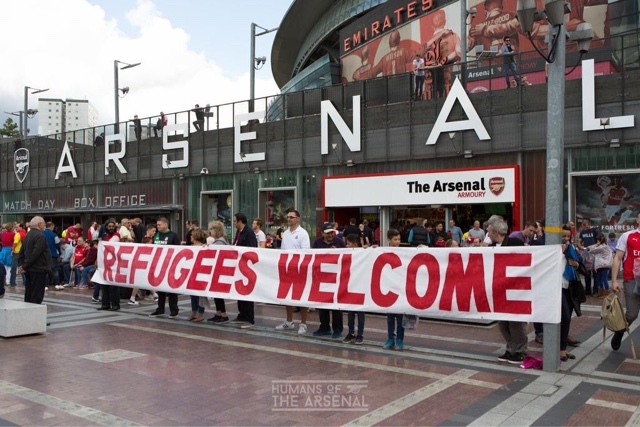 Arsenal have been giving money for each ticket sold to Syrian aid, collecting donations from fans, setting up football pitches in Syria for local kids, donating footballs and kit and sending UK staff to train local staff in Syria to keep it as a going concern. Also they are running training schools in the UK for refugees kids to help them integrate with local communities. This football club is not simply one of the best teams in the world, but also it is generous and it spend a lot of money on charity. This article is a good example of it. Also i may say that it helps me to earn some money on the bets here http://bet-uk.com/football-betting. You also may try.